Fred R. Shapiro, Confessions of the Antedater. Dictionaries: Journal of the Dictionary Society of North America 39.1.23-42 (2018). At first I saw it as “Confessions of an Anteater”! 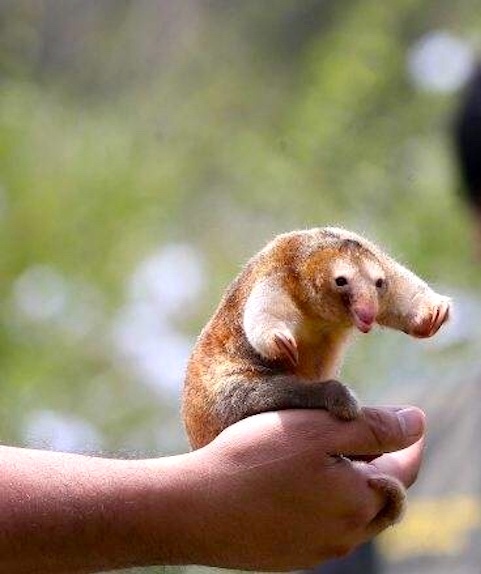 I seconded the suggestion, but then no one did anything until Fred’s piece came up again yesterday, and everybody made the same misreading again — and I came up not with a logo, but with a mascot, an Anteater With a D, the adorable little Silky Anteater didactylus. The author relates the story of how, beginning with the word tiddlywinks, he became interested in “antedating” the earliest uses of words and phrases documented by the Oxford English Dictionary and then pursued this passion for forty years. His thousands of antedatings included improving the historical record of many important terms relating to sports and games, popular entertainment, American slang, politics, law, linguistics, the social sciences, the natural sciences, and other subjects. These discoveries have received extensive coverage by The New York Times and other media. Along the way, he pioneered in the use of searchable online historical text collections for linguistic investigations. Antedatings found by the author and others can shed considerable light on etymology, on history and culture through a lexical lens, and on other linguistic matters with a historical dimension. In addition, the author has extended the methods of historical lexicography to quotations and proverbs, compiling the Yale Book of Quotations and coediting the Dictionary of Modern Proverbs. Our knowledge of the origins of famous quotations has been revolutionized by the online searching and other research employed by the YBQ and DMP. The silky anteater (Cyclopes didactylus), also known as the pygmy anteater, is a species of anteater in the genus Cyclopes, the only living genus in the family Cyclopedidae. It is found in southern Mexico, and Central and South America. and have proportionately shorter faces and larger crania than other species. … They have dense and soft fur, which ranges from grey to yellowish in color, with a silvery sheen. Many subspecies have darker, often brownish, streaks, and paler underparts or limbs. The eyes are black, and the soles of the feet are red. The scientific name translates roughly as “two-toed [didactylus, di ‘two’ + dactyl– ‘finger, toe’] circle-foot [cyclopes, cycl(o)- ‘circle’ + pes / ped- ‘foot’]”, and refers to the presence of two claws on the fore feet, and their ability to almost encircle a branch to which the animal is clinging. … Silky anteaters are nocturnal and arboreal, found in lowland rainforests with continuous canopy, where they can move to different places without the need to descend from trees. 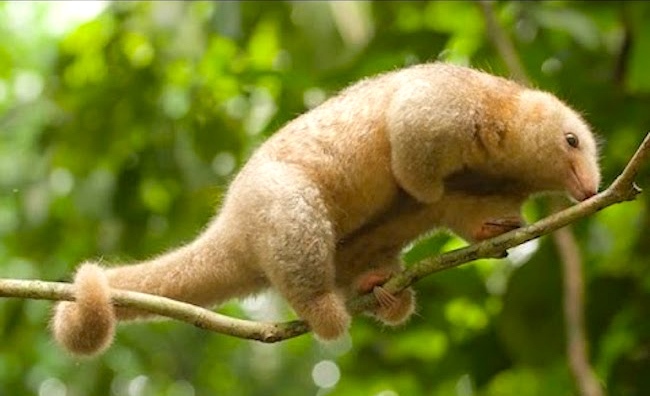 … The silky anteater is a slow-moving animal and feeds mainly on ants, eating between 700 and 5,000 a day. This entry was posted on March 3, 2019 at 10:28 pm and is filed under Anagrams, Language and animals, Language play, Lexicography, Misreadings, Names. You can follow any responses to this entry through the RSS 2.0 feed. You can leave a response, or trackback from your own site. 1828 _Morning Advertiser_ 2 Oct. 3/3 (British Newspaper Archive) A Gentleman present … said, that gambling was at the root of the greatest evils in the prison. A game played with dice and a card, called “Tiddley Wink,” was in common practice.